The first combat zone utilization of the GBU-43/B Massive Ordnance Air Blast (MOAB) device by the U.S. forces in Afghanistan (USFOR-A) on 13 April 2017 brought the Islamic State–Khorasan Province (ISKP) to the headlines. ISKP emerged in Afghanistan and Pakistan in early 2015 after individuals and groups of militants pledged their allegiance to Abu Bakr al-Baghdadi, the leader of ISIS. This ISIS affiliate became operational after only a few months. While the ISKP represents a danger to the stability of Afghanistan and Pakistan and to the wider region including India and Central Asia, the outfit has become a vehicle to legitimization of the growing internationalization of the wider Afghan conflict, particularly in changing the calculus of Iran and Russia vis-à-vis the Taliban, and it has the potential of becoming a tool for proxy warfare in Afghanistan evocative of the mid-1990s. It’s been almost 16 years since the United States responded to 9/11 by going to war in Afghanistan, and 14 years since the United States invaded Iraq. Neither war has been successful, and there is no reason to believe that either is going to succeed if it continues to be fought as it is. Indeed, it’s been some time since they’ve been fought with any expectation of success. They have been fought in large part because neither George W. Bush nor Barack Obama were prepared to admit failure. Domestic consequences in the U.S. would be grave, but there was also legitimate fear that abandoning the wars would result in the creation of radical Islamist states in the region and the toppling of governments that the U.S. regarded as, at best, preferable to the radicals. The wars turned into a holding pattern whose primary purpose was to keep al-Qaida, the Taliban and, now, the Islamic State off balance, destroying their capabilities in some areas but ideally destroying the groups themselves. But this was wishful thinking. The U.S. did not have enough forces in either theater to eliminate groups like the Taliban and IS. And it was a mistake to believe the destruction of the groups would mean the destruction of the jihadist movement. Instead, it spawned new flag bearers for the movement. Further, the idea that these operations reduced the amount of terrorist activity was becoming dubious. There were no more attacks on the scale of 9/11, but there were several smaller attacks that went on despite the wars. In technology-rich Silicon Valley, it falls on DIUx to spot relevant products, test them and select the ones that best solve problems for the Defense Department. 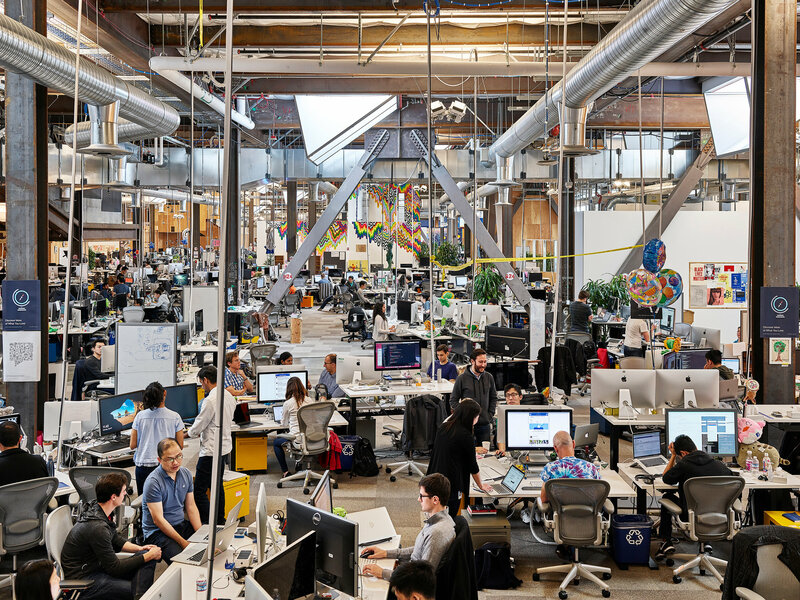 DIUx has 40 people based in Mountain View, Calif., and smaller offices in Boston and Austin, Texas. June 11, 2017: In May 2017 the United States revealed that it had sent one of its few cyber protection teams to defend the THAAD (Terminal High Altitude Area Defense) battery sent to South Korea earlier and declared operational in April. This anti-missile unit is considered a major target for hackers. Each THAAD battery consists of two or more launcher vehicles (each with eight missiles stored in canisters they are fired from), a fire control and communications system and a TPY-2 X-Band radar (or equivalent radar or radars). THAAD missiles weigh 836 kg (1,400 pounds) and are about the same size as the Patriot anti-aircraft missile and have a range of 200 kilometers and max altitude is 150 kilometers. THAAD is intended for stopping short (like SCUD) or medium range (up to 2,000 kilometer) range ballistic missiles. To work properly the battery depends a lot of networks for quickly transmitting target and other data. Since China, Russia and North Korea all have excellent network hacking capabilities and have been hostile to the stationing of a THAAD battery in South Korea, it was expected that the THAAD networks would be subject to penetration and disruption attempts by foreign hackers. Neither the THAAD nor the cyber protection teams have had any real combat experience. THAAD has been successful in tests but the army is still seeking a realistic way to test the effectiveness of the cyber protection teams. The tense situation in South Korea could be the first real test of both new systems. At the moment THAAD seems more likely to succeed, but only if the untried cyber protection teams can keep numerous and determined hackers out. The army knows it has a major problem with cyber protection as do the other services (air force, navy and marines). This was made clear after U.S. Army established its first Cyber Protection Brigade in late 2014. There were plans to create two more brigades by 2016. That did not happen because the army in particular and the military in general could not create or recruit enough qualified personnel. There were other problems but the key difficulty was a shortage of qualified people to staff the key units; the cyber protection team. Google announced Sunday that it is taking additional steps to prevent online terrorism using Google-owned platforms, according to a company blog post. The company denounced the use of its websites to disseminate terrorist recruitment materials, most prominently YouTube, calling on industry to step up and participate in prevention. “While we and others have worked for years to identify and remove content that violates our policies, the uncomfortable truth is that we, as an industry, must acknowledge that more needs to be done,” said Kent Walker, senior vice president and general counsel of Google. Google, and similar companies that own social media websites, must toe the line between freedom of speech and responsibility for security. Google stated that their increased efforts are a good balance between the two. Its four-pronged mission intensifies the technological efforts it has already taken against extremist content. The Indian readymade garments industry has been a vital enabler of our export trade. Each year it exports to the West, ready-to-wear apparel worth several billion dollars. Trade analysts, in the recent past, have been quite gung-ho about this sector’s prospects. Where do countries like India, China and others in the region derive the strength that adds so much value to their economies? It is not as if nimble fingers and skilled tailoring hands do not exist in developed nations. The answer lies is in the availability of cheap labour. Unfortunately, this advantage is likely to disappear in the near future. Just as worrying is the obliviousness of this looming danger on the part of our policy and decision-makers. We simply need to delve into the realm of robotics and artificial intelligence to gauge the situation. A former professor of robotics at the Georgia Institute of Technology has helped create a robotic tailor that can stitch a perfect circle: If you can stitch a perfect circle, then you can perform almost any complicated sewing task that, in the past, could only have been undertaken by skilled and experienced hands. The only seemingly viable option for the garments industry in the Asian region is to seek to import such machines. There goes a part of our plan to keep unemployment figures down. As chief minister, Narendra Modi had to spend a few days every year in meetings with the Planning Commission. It was a begging trip; the Planning Commission decided the allocation of plan funds to states. He had to accept whatever he was given. Gujarat's fiscal and economic performance was good. He was not rewarded for it; instead, he was given less because he was raking in so much in taxes. He hated the supercilious looks and shrill sermons of Montek Singh Ahluwalia; he did not see why Ahluwalia should lord it over just because he had been to Oxford. He was determined to abolish the Planning Commission if he ever came to power in Delhi. When he finally arrived in 2014, he kept his resolve. That, however, raised problems he had not anticipated. For one thing, loans and revenue transfers from the Centre to the states had to be determined on some rational criteria. That is what the meetings with the Planning Commission that he hated were doing; in its absence, who was to do it? He could have asked Vijay Kelkar, the fortune-teller who gives weekly and annual astrological predictions for each of the dozen astrological signs; for instance, if you are Leo, his current advice to you is to take care of your belongings when you travel. But he was never asked; instead, Vijay Kelkar, the familiar figure who has spent years in the Delhi government, was asked. He passed on the report of the Finance Commission which he had chaired. That was, however, five years old; and it only told how Central revenue should be shared with states. When he was asked to come back to Delhi and show how to do that from year to year, he refused; he was happy to be out of Delhi's dog-eat-dog world. NEW DELHI: India became the 71st country on Monday to join the United Nations TIR Convention, the international customs transit system, to position itself as a regional trading and transit hub. The TIR system is the international customs transit system with the widest geographical coverage. As other customs transit procedures, the TIR procedure enables goods to move under customs control across international borders without the payment of the duties and taxes. TIR Convention is more than a transport agreement and has a strong foreign policy element. In a world where China's 'One Belt One Road' (OBOR)+ is the dominating project straddling economics and geopolitics, India has no option but to play a better game if it wants to be counted as a serious rising power. Welcoming India into the global transport arrangement, Umberto de Pretto, the secretary general of IRU which manages the TIR Convention, told TOI from Geneva that India's accession would have a big impact on regional connectivity. "TIR can help implement the Bangladesh-Bhutan-India-Nepal (BBIN) Motor Vehicles Agreement by addressing policy incompatibility among the BBIN group. For example, Bangladesh does not recognise insurance policies made in India, Nepal or Bhutan. With TIR, there would be no need for bilateral arrangements as guarantors are covered by the global guarantee chain." The Yoga initiative, starting with International Yoga Day, is a welcome break from India’s prior cultural lethargy. It is imperative that India expands its yogic culture as its civilisational strength. India has a tremendous cultural power or civilisational shakti that has maintained a profound impact on the world for thousands of years. This is represented by India’s great gurus, rishis and dharmic traditions at an inner level, along with a sophisticated artistic and material culture outwardly. India’s many-sided civilisation spread to Indochina and Indonesia during their formative periods, and had a lasting influence on China, Japan and East Asia. It also had significant effects on Central Asia, extending into West Asia. India’s civilisation was honoured in ancient Greece and Rome, and India had regular trade contacts with Mesopotamia and Sumeria, going back to the third millennium BC. Ancient Indo-European traditions like the Persians, Scythians, Celts, Germans and Slavs had much in common with India’s Vedic culture. 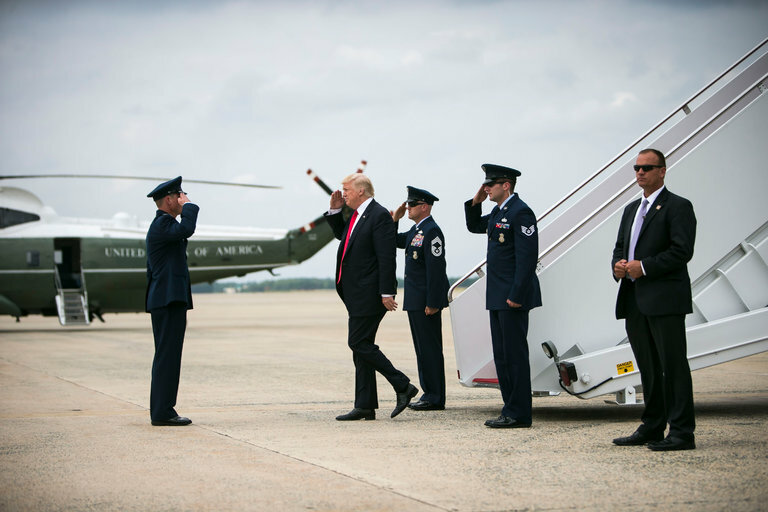 WASHINGTON — When President Trump made his first major decision on the war in Afghanistan, he did not announce it in a nationally televised address from the White House or a speech at West Point. Instead, the Pentagon issued a news release late one afternoon last week confirming that the president had given the defense secretary, Jim Mattis, the authority to send several thousand additional troops to a war that, in its 16th year, engages about 8,800 American troops. Mr. Trump, who writes avidly on Twitter about war and peace in other parts of the world, said nothing about the announcement. But its effect was unmistakable: He had outsourced the decision on how to proceed militarily in Afghanistan to the Pentagon, a startling break with how former President Barack Obama and many of his predecessors handled the anguished task of sending Americans into foreign conflicts. The White House played down the Pentagon’s vaguely worded statement, which referred only to setting “troop levels” as a stopgap measure — a tacit admission of the administration’s internal conflicts over what to do about the deteriorating situation in Afghanistan. ADRID — If you want to know why the European Union has shied from challenging China on its human rights record, look no further than what happened the last time a European country crossed Beijing. In November 2013, a Spanish court ordered a prosecuting magistrate in charge of an investigation into an alleged genocide in Tibet to issue international arrest warrants for former Chinese President Jiang Zemin, former Prime Minister Li Peng and three other retired top Communist officials. The case stemmed from a lawsuit filed in 2006 by two Tibetan support groups based in Spain and a Tibetan exile with Spanish nationality. It took advantage of a local law that allowed Spanish judges to prosecute crimes against humanity committed outside the country — legislation that famously led to the arrest of Chilean dictator Augusto Pinochet in the U.K. in 1998. Behind the scenes, Beijing froze all high-level meetings with Spanish representatives, including a state visit by Prime Minister Mariano Rajoy, according to two sources in the foreign and economy ministries. “They put us in the fridge for a while,” said a Spanish official who was working in Beijing at the time. 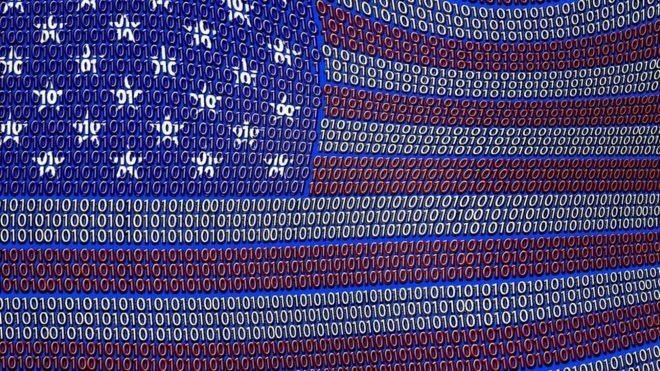 The US military and intelligence communities have spent much of the last two decades fighting wars in which the US significantly over-matched its opponents technologically—on the battlefield and off. In addition to its massive pure military advantage, the US also had more sophisticated electronic warfare and cyber capabilities than its adversaries. But those advantages haven't always translated into dominance over the enemy. And the US military is facing a future in which American forces in the field will face adversaries that can go toe to toe with the US in the electromagnetic domain—with disastrous physical results. 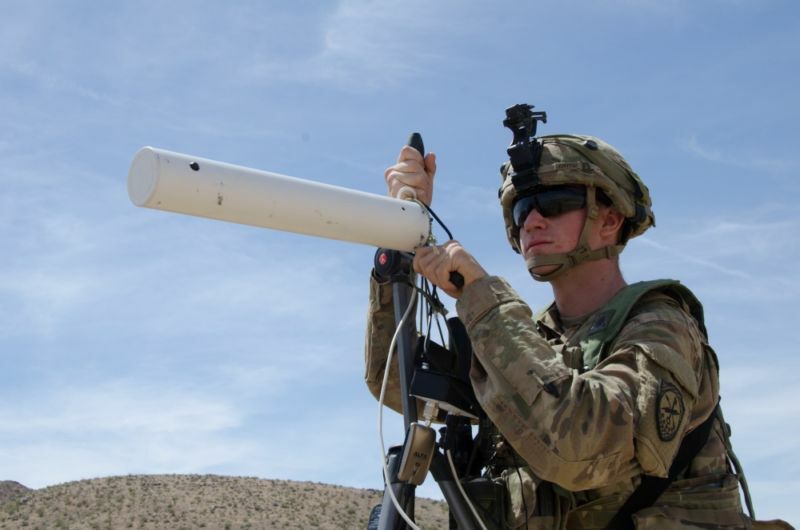 That's in part why the Army Cyber Command recently experimented with putting "cyber soldiers" in the field as part of an exercise at the Army's National Training Center at Fort Irwin, California. In addition to fielding troops to provide defensive and offensive cyber capabilities for units coming into NTC for training, the Army has also been arming its opposition force (the trainers) with cyber capabilities to demonstrate their impact. Islamic State fighters defended their remaining stronghold in the Old City of Mosul, moving stealthily along narrow back alleys and slipping from house to house through holes in walls as U.S.-backed Iraqi forces slowly advanced. "This is the final chapter" of the offensive to take Mosul, said Lieutenant General Abdul Ghani al-Assadi, senior commander in Mosul of Counter Terrorism Service. The militants are moving house to house through holes knocked through inner walls, to avoid air surveillance, said Major-General Sami al-Arithi of the Counter Terrorism Service, the elite units spearheading the fighting north of the Old City. “Now the fighting is going on from house to house inside narrow alleys and this is not an easy task,” he told state TV. The Iraqi army estimates the number of Islamic State fighters at no more than 300, down from nearly 6,000 in the city when the battle of Mosul started on October 17. 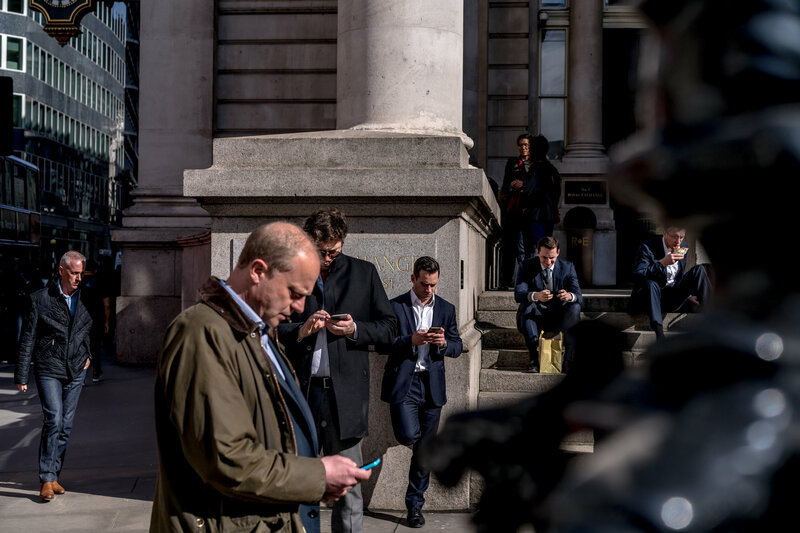 After deadly terrorist attacks and a nationwide election, Britain is once again focusing on a controversial plan: to regulate the internet. Lawmakers from across the political spectrum are promoting some of the widest-ranging plans anywhere in the western world to rein in the likes of Google, Facebook and Twitter, setting up a likely standoff. On one side are British policy makers and law enforcement officials, who want to crack down on how extremist messaging and communication are spread across the internet. On the other are privacy and freedom of speech groups — alongside the tech giants themselves — who say that the government’s proposals go too far. Similar debates are popping up around the world. The Federal Bureau of Investigation took legal action against Apple last year to force the company to decrypt a suspected terrorist’s iPhone. American law enforcement eventually used a third-party service to gain access to the smartphone. In Germany, lawmakers are pushing ahead with fines of up to 50 million euros, or $56 million, if Silicon Valley companies do not limit how online hate speech circulates on their social networks. What happens after the Islamic State is defeated in Iraq and Syria? THE UNITED STATES is committed to defeating the Islamic State in Iraq and Syria, but as that goal nears realization, another strategic question looms: What security order will replace it, and which of the outside powers enmeshed in the region will stand behind that order? The Trump administration doesn’t appear to have a strategy for that, but others clearly do — which helps to explain the incidents over the weekend in which the United States downed a Syrian government warplane , while Iran fired intermediate-range missiles from its territory at Islamic State targets in eastern Syria. Though the two incidents were nominally unrelated, they have a common cause: the drive by Iran and Russia, along with their Syrian and Iraqi Shiite clients, to dominate the space that will be left when the Islamic State is driven from its capital of Raqqa in eastern Syria, which is under assault from U.S.-backed Kurdish and Syrian Arab forces. At stake are both Syria’s oil-producing area to the south of Raqqa and a land corridor between Baghdad and Damascus that Iran aspires to control. Russia, for its part, hopes to drive the United States out of the region. With the military setbacks ISIS is now experiencing, the number of jihadist foreign fighters returning to Europe will rise. Like its neighbors, Switzerland must prepare to deal with these individuals. According to Fabien Merz, there is much the Swiss can learn from the experiences of Denmark and France, including 1) there is no panacea for dealing with foreign fighters, and 2) pursuing a ‘balanced’, anti-repression approach is the most sensible way to address this problem. With the ongoing military setbacks the “Islamic State” (IS) suffered, the number of jihadist foreign fighters returning to Europe might further increase. Switzerland, too, must be prepared to deal with these individuals. Some clues may be gained from experiences made in France and Denmark, two states particularly affected by this phenomenon. Since the start of the civil war in Syria and the resurgence of the conflict in Iraq, around 30,000 “foreign fighters” have joined jihadist militias fighting in these conflicts. Around 5,000 of them are from European countries. Many have joined IS, which has, amongst others, the stated goal of carrying out attacks in the West. This phenomenon is also of relevance to Switzerland (cf. CSS Analysis No. 199). As of May 2017, the Federal Intelligence Service (FIS) had registered 88 jihadist-inspired journeys. Of these, 74 were destined for Syria or Iraq. IS has recently come under severe military pressure in Syria and Iraq. This has also led to a worsening of conditions for foreign jihadist fighters on the ground. Experts warn that further territorial losses by IS could lead to an increase of returnees. Thus, today more than ever, the question arises of how to deal with a potential increase of jihadist returnees and the concomitant security and societal challenges. The present analysis will only consider the post-return phase. Today the Department of Defense provided to Congress a report on “Enhancing Security and Stability in Afghanistan” covering events during the period from December 1, 2016, through May 31, 2017. The report was submitted in accordance with requirements in Section 1225 of the Fiscal 2015 National Defense Authorization Act (NDAA) as amended by Sections 1231 and 1531 of the Fiscal 2016 NDAA and Sections 1215 and 1521 of the Fiscal 17 NDAA. The Afghan National Defense and Security Forces (ANDSF) effectively conducted training and reequipped units during the winter. In March, the Afghan forces began implementing a yearlong campaign against the insurgency and simultaneously restructuring the force to build offensive capabilities over time according to a plan called the “ANDSF Road Map.” Major initiatives within the Road Map include transitioning the Afghan Air Force from Russian Mi-17 helicopters to U.S. UH-60 helicopters over the next several years, expanding the Afghan Special Forces, and gaining efficiencies through realigning paramilitary organizations from the Ministry of Interior to the Ministry of Defense. The ANDSF continue to make progress in their efforts to counter terrorist networks and provide the United States with a valuable counterterrorism partner. Despite the self-proclaimed Islamic State’s regional affiliate, ISIS-Khorasan, conducting high profile attacks in Kabul, the organization’s influence has diminished. 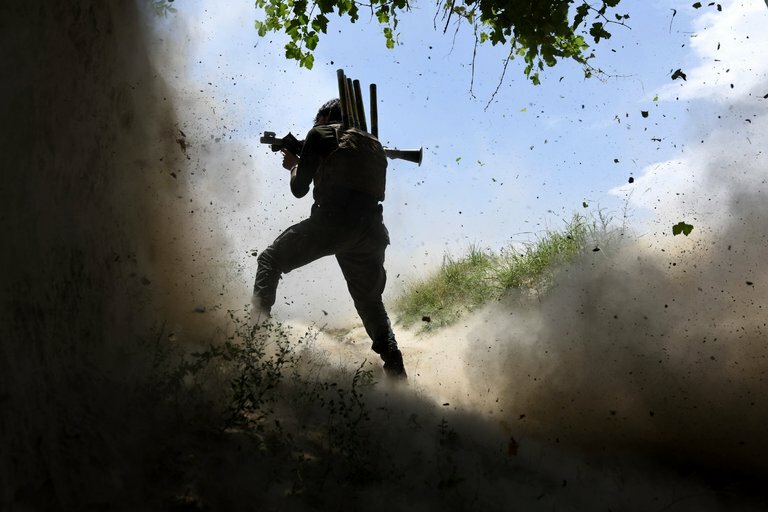 Both Afghan and U.S. forces have committed to defeating the organization, and continued operations and airstrikes against ISIS-K have largely confined the group to a few districts in Nangarhar province. There has been much consternation in America and Europe for the past decade since Russia began practicing hybrid warfare. Ostensibly initiated by Russian General Valery Gerasimov with PM Putin’s support, hybrid warfare has resulted in Russian taking Crimea without a shot being fired, occupying Donetsk in eastern Ukraine, keeping Syrian President Assad in power, and potentially influencing the outcome of an American election. The aggressive and successfully moves in Ukraine have so alarmed some European nations that they are considering withdrawing from the 1997 Mine Ban Treaty which attempts to outlaw the production and use of landmines. Both Ukraine and Finland have threatened to pull out of the Ottawa Landmine Ban treatybecause of perceived Russian aggression. Russia, helped spur on such a perception with a very public military exercise that contained a practice invasion of Norway and other northern European states. With so much success and so much cowering in western states, it is no wonder that much of the scholarship on Russian hybrid warfare has asserted the near infallibility of the Russian approach. While most western nations see Russian hybrid warfare as threat to the western democratic way of life, it is, ironically, more threatening to the continued existence of Russia as viable nation-state. In this article, Richard Connolly examines Russia’s most recent maritime doctrine and whether the country has the material capabilities it needs to meet its naval objectives. More specifically, Connolly 1) compares the current maritime doctrine with its predecessor; 2) gauges the progress that has been made in an admittedly ambitious naval modernization program; 3) assesses how the program has been affected by financial and industrial constraints; and 4) wonders whether the naval structure that’s being created will actually serve Russia’s maritime ambitions. This review examines Russia’s Maritime Doctrine and whether Russia possesses the material capabilities to meet the objectives contained within it. Russian thinking on the subject of naval policy attracted increased attention after the deployment of the aircraft-carrying cruiser, the Admiral Kuznetsov, to the eastern Mediterranean in autumn 2016 as part of a larger flotilla comprising cruise missile-capable ships and submarines. This surprised some observers, and served as a vivid demonstration of an increasingly assertive Russian foreign and security policy. However, the deployment of naval force to the Mediterranean would not have surprised those familiar with the updated maritime doctrine (Morskaya doktrina) that was published in July 2015. This doctrine signaled the intentions of the Russian leadership to maintain a permanent naval presence in the eastern Mediterranean in support of wider Russian foreign and security objectives. It also sets out a series of other objectives, including the construction of a modern navy equipped with qualitatively new weapon systems. Taken as a whole, the doctrine sheds light on the role that the Russian leadership envisages for the navy in supporting Russia’s pursuit of its wider security, economic and foreign policy objectives. NEW DELHI — To meet military space requirements, India plans to launch a 550-kilogram homemade military satellite within the next fortnight to join the heaviest homemade rocket, the Geosynchronous Satellite Launch Vehicle Mark III, according a Ministry of Defence source. The GSLV Mk III rocket, fired earlier this month into space, has the capacity to carry the 4-ton class of satellites, prompting some analysts here to say this is a prerequisite for an anti-satellite weapon. "The capability to launch heavy rockets with heavier payloads is a prerequisite to put up anti-satellite weapons in the space," said a scientist with the Indian Space Research Organisation, which developed the rocket. India officially maintains that space is for peaceful use and, as such, does not have an anti-satellite, or ASAT, program. However, sources within the state-run Defence Research and Development Organization say such a program does exist. WASHINGTON: Congress wants the Army to get its tanks in gear. Today, the House Armed Services Committee released its draft of the 2018 defense policy bill, which all but begged the Army to accelerate its air-deployable Mobile Protected Firepower vehicle. MPF would fill a void in light tanks that’s existed since the M551 Sheridan was retired in 1996. A separate provision would order the Army to report on its plans for modernizing its heavy armored forces across the board, including “the development of a next generation infantry fighting vehicle and main battle tank” to replace the M2 Bradley and M1 Abrams respectively. By contrast, the Army’s current focus is low-cost, short-term upgrades of existing weapons. Incrementalism has been the Army’s strategy for at least four years, since it had to cancel the Ground Combat Vehicle program and replace it with a Next Generation Combat Vehicle initiative that may or may not deliver a new design in 2035. That’s too slow for HASC, which wants the Army report to include “an accelerated long-term strategy for acquiring next generation combat vehicle capabilities” (emphasis ours). Statecraft and business have always been closely linked, but the advent of digital technology has blurred the roles more than ever. Systems crucial to the economic well-being and national security of the United States rest in the hands of private companies. The two sectors must cooperate by sharing information at an immense pace and scale to keep up with the threat of cyber attacks. The Cipher Brief’s Levi Maxey spoke with James Clapper, the former U.S. Director of National Intelligence, about how the U.S. approaches cybersecurity information sharing and why there continues to be obstacles for both government and private sector when sharing data on virtual risks with real world consequences. The Cipher Brief: How would you characterize cooperation and information sharing between the intelligence community and major tech companies? James Clapper: I guess I would call it a little strange. The problem with all of this information sharing business between intelligence and companies more broadly is that there are restraints and inhibitions on both as far as fulsome sharing. There is supposed to be an equities process that, at least while I was there, worked. Where you make adjustments based on the equities involved – if the intelligence community detects a vulnerability, do they share it or not? There is a process for deciding what’s best and probably no one is ecstatic about that process all the time. TCB: Could you talk about how the equities process works? My understanding is that it is through the National Security Council but reports vulnerabilities to companies through the DHS. This question echoed throughout Marine Corps Lt. Gen. Vincent Stewart’s speech at the 2017 GEOINT Conference in San Antonio, Texas. The director of the Defense Intelligence Agency spoke about the risks the intelligent community faces, including becoming irrelevant in a technology-driven era. To make his point, he mentioned the challenges faced by the Kodak film company as digital photography first entered the picture. Embracing the digital age is critical for intelligence community, he said. The desire to stay in the past, live in the success of the Cuban Missile Crisis, and stick to the techniques that have proven to be successful is strong, Stewart said. But he noted that failing to embrace the digital world will only lead the intelligence community to extinction. “We are not indispensable unless we are relevant to our customers, all of them,” Stewart said, explaining that the notion that “our success in the past is good enough for our success in the future” is wrong. This idea stifles innovation, stopping those who wish to help shape the future. To remain relevant, the intelligence community must learn to nurture innovation and take risks. After concluding his speech, Stewart noted a military downfall that has occurred in recent years — wargaming. Tallinn, Estonia - Things are bad on the small island nation of Berylia after a diplomatic row with Crimsonia, its bigger neighbour and rival. There are street protests by the Crimsonian minority in Berylia, which then suffers a wave of cyber-attacks that make it lose control of its drones and its only international airbase. Crimsonia is blamed for the cyberoffensive even though there's no hard proof. Crippled by the attacks, Berylia, a new member of the North Atlantic Treaty Organisation (NATO), weighs its options. One of them is to invoke Article 5 and take the military alliance to war against Crimsonia. Berylia and Crimsonia are fictional and so is this scenario, which is part of Locked Shields, a cyberwar game. But the fact that the situation doesn't sound that far-fetched is one of the reasons why Locked Shields is so relevant today. Locked Shields is "the world's largest and most advanced international technical live-fire cyber defence exercise", as described by the NATO-affiliated Cooperative Cyber Defence Centre of Excellence (CCDCOE), which has been organising it since 2010 in Tallinn, Estonia. The danger that the cyberwarfare threat spectrum could pose a sustained future risk to both military sites and critical civilian infrastructure – such as power grids, hospitals and telecom networks – is certain to stimulate deeper levels of collaboration between defense and law enforcement agencies and industry cyber experts. The fundamental dynamic driving closer cooperation between state agencies and industry is formed from the common objective of not alone defending against threats in cyberspace, but devising the tools to respond using precise surgical strikes against aggressors in the cyber battlespace. A higher degree of cooperation between state cyber defense agencies and industry will focus on developing more robust vertical data traffic analysis tools to improve the general understanding and interpretation of high malware activity and trends, nationally and globally, as used by hostile parties in the cyberspace domain. The opening up of new channels of collaboration between state and industry actors in the cybersecurity area featured prominently at CyCon 2017 in Tallinn, Estonia. Notwithstanding collaboration with industry, the state will retain a primary responsibility to defend its country’s systems, said James Lewis, a Senior Vice President at the Washington-based Center for Strategic and International Studies. When giving talks on cybersecurity, I often get asked what keeps me up at night. My short, and glib answer is my four-year-old (he really is a horrible sleeper). I certainly don’t sit up at night worrying about a cyber-attack on the power grid or the manipulation of the stock market by cyber criminals. In fact, nothing I ever saw in classified channels about a cyber threat cost me a wink of sleep. Other intelligence did though, about planned terrorist attacks and nuclear proliferation and other horrors managed by other directorates. During the year I spent working on counterterrorism at DHS before I went to work on cybersecurity at the White House, I spent many nights wondering if we had made the right decisions to counter some very dangerous threats. So when it comes to WannaCry, I don’t discount the possibility that the closure of hospital ERs and the rescheduling of operations may have cost lives. Many pundits in the field seem to agree with Edward Snowden, who told the Guardian that the NSA should have disclosed the vulnerability exploited by the malware when they found it, not when they lost it. Yet, even Snowden hedges on whether disclosure would have prevented the attack. If the NSA had disclosed the vulnerability earlier, the attack “may not have happened” (emphasis added). Snowden hedges because no amount of warning would have been enough to get Windows XP out of hospitals, or get hospitals to install the latest patches in a timely manner. If NSA had disclosed the vulnerability years ago, it would likely still remain exploitable today. The huge cache of data was discovered last week by Chris Vickery, a cyber-risk analyst with security firm UpGuard. The information seems to have been collected from a wide range of sources - from posts on controversial banned threads on the social network Reddit, to committees that raised funds for the Republican Party.